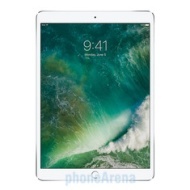 alaTest has collected and analyzed 1139 reviews of Apple iPad Pro 10.5-inch (2017). The average rating for this product is 4.8/5, compared to an average rating of 4.3/5 for other products in the same category for all reviews. Reviews about the size and portability are overall positive. The usability and screen are also mentioned favorably, but some have doubts about the connectivity and price. We analyzed user and expert ratings, product age and more factors. Compared to other products in the same category the Apple iPad Pro 10.5-inch (2017) is awarded an overall alaScore™ of 97/100 = Excellent quality. Apple's 10.5-inch iPad Pro is the best tablet in the world, period. Apple’s latest iPad Pro is the best tablet you can buy. It excels in nearly every category, remains a fantastic tool for artists, and continues to define the tablet market. The promising new hardware is here now, but it's the software to come that could advance this tablet to the next level. Most of the cool new software features require iOS 11, which isn’t coming until September. No newly imagined accessories and the ones you need (Pencil, keyboard) drive up the cost to laptop levels. Apple extends its tablet lead, but iOS 11 might end up being a bigger deal. Apple's largest -- and most expensive -- iPad ever is a powerful new tool for artists and graphic designers. But can it replace a laptop for the rest of us?